Revolutionising the market with a tradition of innovation, Pearl are proud to release the 765RBE Quantz Flute, B Footjoint, Open Hole. Featuring Pearl's very own, groundbreaking one-piece core-bar, and pinless mechanism. 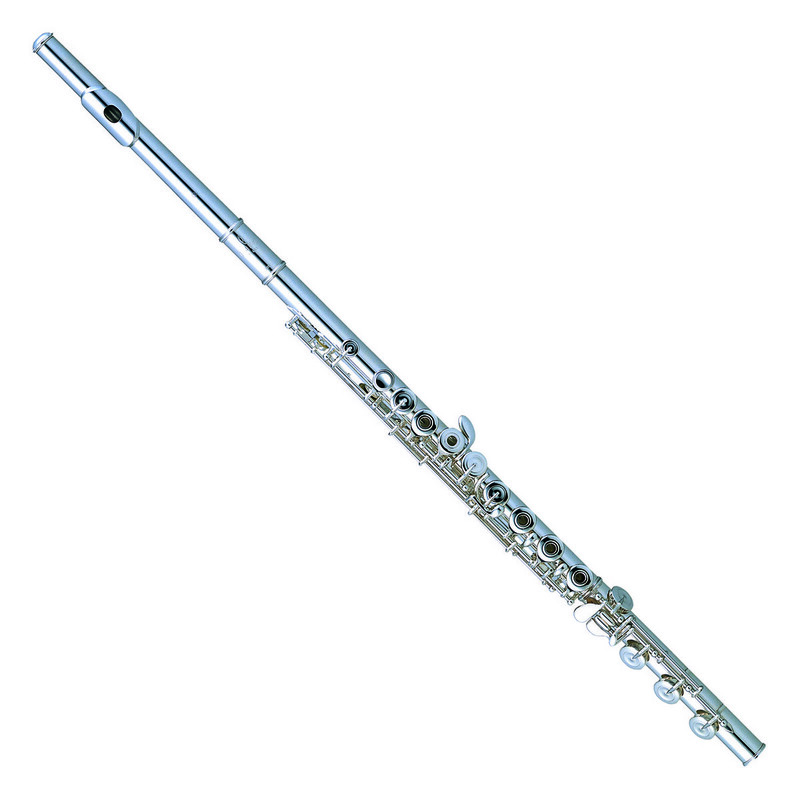 The Quantz Flute features Pearl's most significant refinement of the Boehm flute mechanism in more than 100 years. Carefully designed with French-pointed arms, the 765RBE maintains the same spirit and character as the Elegante flute. Featuring an extended "B" foot joint, this flute allows you to play all the way down to a low B, a semitone below the standard "C" foot joint. As well as improving the instrument's range, the longer tube adds a little extra resistance as you play, providing the flute with a darker, more mellow tone. Packed with everything you need to get started, the Quantz flute comes with a faux leather-bound wooden case, cleaning rod, polishing cloth, a plush lined case cover with side pocket, and a shoulder strap for comfort carry. Open hole models also include a set of plugs. Pearl ensures to maintain a standard of excellence in the quality of all their products by constantly testing to ensure the instruments meet the demands of the current market. With a combination of creativity and total precision in production, Pearl guarantees a lifetime of customer satisfaction. All Pearl flutes come with a case, case cover, polishing cloth and cleaning rod so you have everything you need to care for your new instrument. The flute features an extended "B" footjoint, which allows the instrument to play notes down to a low B, a semitone below the lowest note of the standard "C" footjoint. As well as improving the instrument's range, the longer tube adds a little extra resistance as you play, providing the flute with a darker, more mellow tone.